DERECK Chisora's trainer Don Charles believes the British public will grow to love a fighter whose erratic behaviour he suspects can be partly explained by autism. Upton Park will provide the setting for a domestic showdown mired in controversy when Chisora meets former world heavyweight champion David Haye on Saturday night. The rivals brawled at a press conference after Chisora's WBC title loss to Vitali Klitschko in February, the final act of a series of outrageous incidents involving the 28-year-old. Even Charles himself occasionally comes to blows with a fighter he has trained and mentored at his gym in Finchley since 2006. 'Dereck is an extrovert, he's an eccentric character and can be unpredictable,' Charles said. I haven't had it tested but I believe he is autistic. There are also other things that he has, which I won't reveal, that make him the type of character he is. Sometimes when people are dyslexic with a touch of autism they speak in actions and can get frustrated. 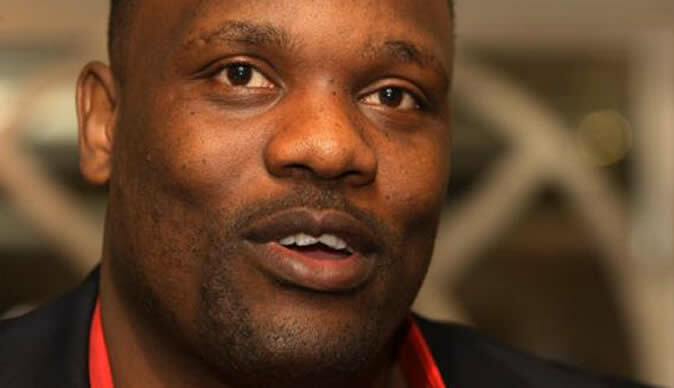 Chisora arrived in the UK as a 16-year-old from Zimbabwe and Charles believes he has suffered from the absence of his father Paul, who remains in the African nation. 'Dereck's father didn't bring him up, his mum did. Consequently that discipline you need from your father when you're growing up isn't there,' Charles said.